My sister says she can't afford to give me a separate account, but I bet it's really that she is lazy. 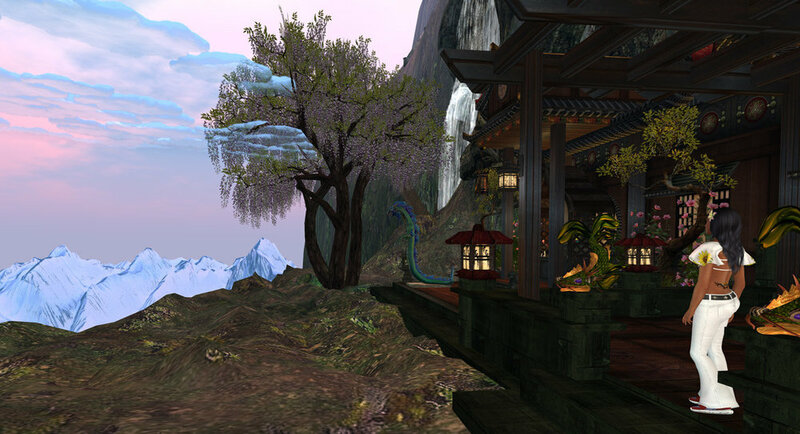 One of the "must see places" in Second Life. The scenery outside is amazing! I look like my alt so they could be sisters now I guess. Thank you Coby for that hint. Post card from my expedition. NB: Photo edited with real photo of Mount Everest as background. Animare is nice, but a little bit clunky. I never got Anypose as, well, I had Animare, I got a sponsorship by a pose creator who gave me a whole lot of poses to play with, I've got several friends who make poses, and now I've got Quavimator to make my own poses - though I would still recommend anyone who's into photography to check out Happy Dispatch and their animation HUDs (even if I'm not sponsored by them!). They've got two HUDs, one for bodies and one for faces. The face pose HUD lets you move your eyes at a much more modifiable angle than any animation HUDs that have come with any of the heads I've got, and you get a bunch of animations for your eyes and your mouth, which can be adjusted for how 'intense' you want them to be - a smile animation can make you look like a deranged Joker or as Mona Lisa depending on how you set it, and the same goes for your eyes/eyebrows animations. The body HUD lets you store poses from the store, and use the arm positions of any of the pose packs you've got, or the standard ones that come with the HUD, which means that you can basically pick any pose you want and then just do a flip-off pose for your arm or a wave - again, with a meter for how 'intensely' you want to wave, making it very easy to align say a hand to a hip. Even if I make a pose myself, I often end up using at least the face HUD to finalise my expression when I've framed the shot. Have you tried using the Poser in Black Dragon? I think the best set of tutorials, Weaver's, is gone. No one seems to know what happened. He took them down. I think it a terrible loss. Ohmai apparently learned from him. Her tutorials are now about the best I've seen. She uses the mouse and keys to control the camera. That gives you very good control over the Depth of Field feature. But, it locks you into a focus point in the center of the screen. When I started doing machinima I got a SpaceNavigator (SN), a 3D mouse. I have much more camera freedom and it can move the camera to positions and angles uncommon to mouse/key controls. However, you have to do your Ctrl-8, 9, or 0 change before switching to Flycam and the SN. Ohmai uses the Animare hud to pose the avatar. I find it frustrating. I prefer using the Poser built into Black Dragon. 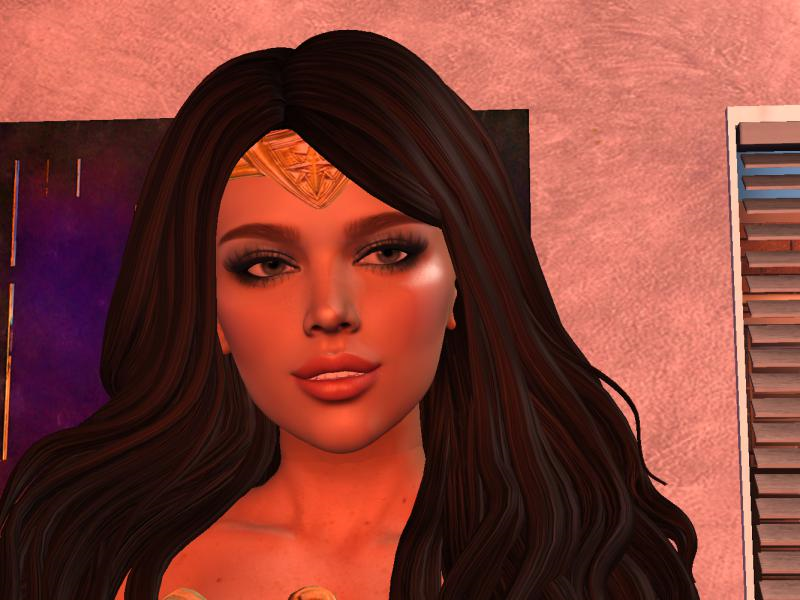 The Lindens are planning to add the Poser to the Linden Viewer. THat means it will come to most viewers. That might happen this year. However, I do have Animare and two or three other HUDs for posing. Strawberry Singh has posing/photo tutorials. The link is to the long list. After further thought I've gone with classic Genus latest version for my Wonder Woman, with darker eyes and just a little make up. Hanging out in a meadow lol. Nah. I tried Black Dragon a while back but didn't really catch onto it, learning to navigate SL from scratch felt like too much of a bother. Me too. I really wanted it to work out because the posing tool looks amazing, but I don’t have the desire or free time to figure the viewer out. Now if that was available in Firestorm, I’d be a super happy camper.